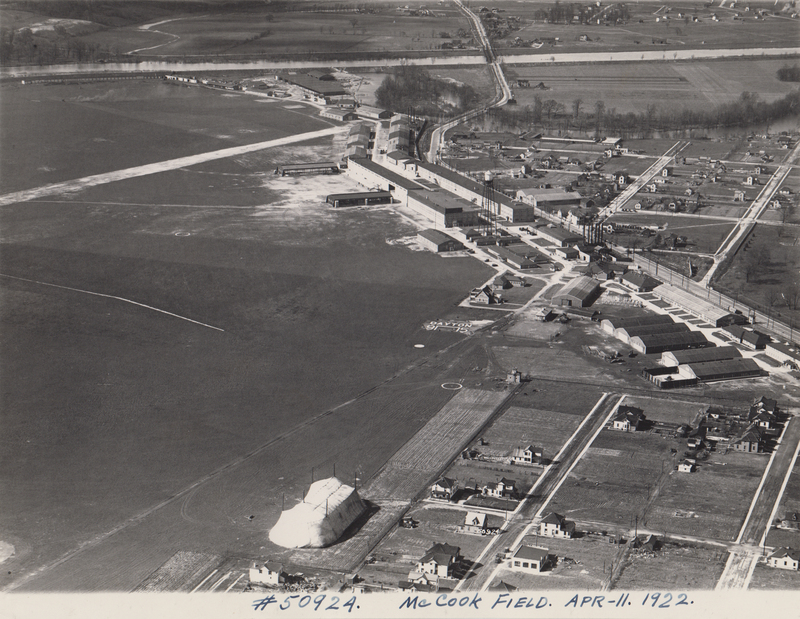 The creation of McCook Field was authorized by the U.S. Government on October 18, 1917, a few months after the United States’ entry into World War I, in order to collocate all U.S. military aviation research and thus support the war effort. 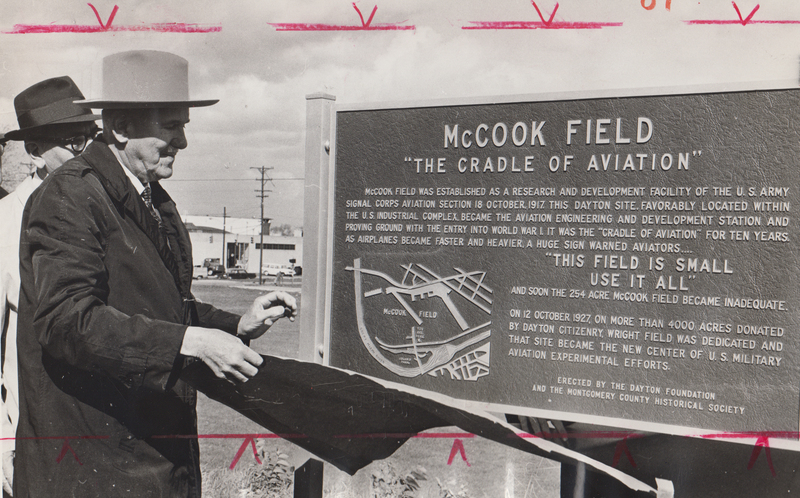 Personnel began working at McCook Field that December. 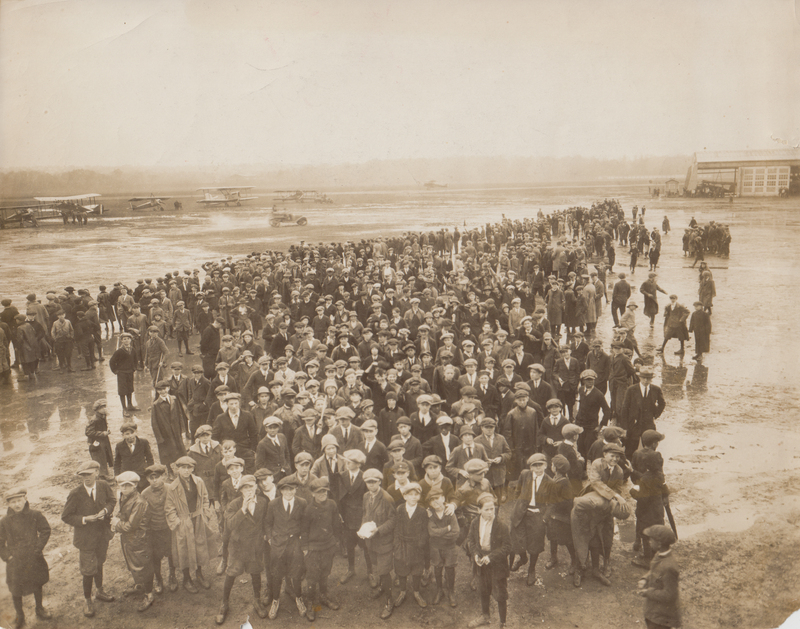 After World War I ended, the Field continued to play a major role in aviation research and development, benefiting the American aircraft industry. 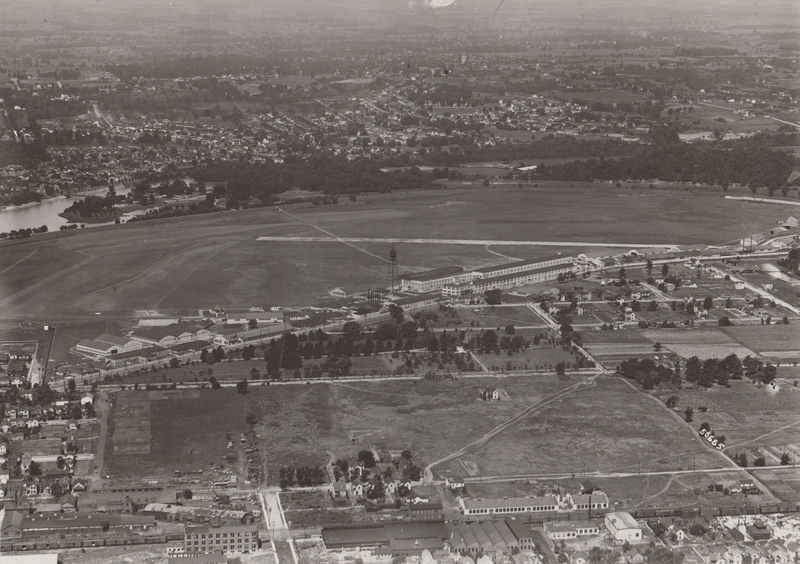 The Field initially consisted of 200 acres. 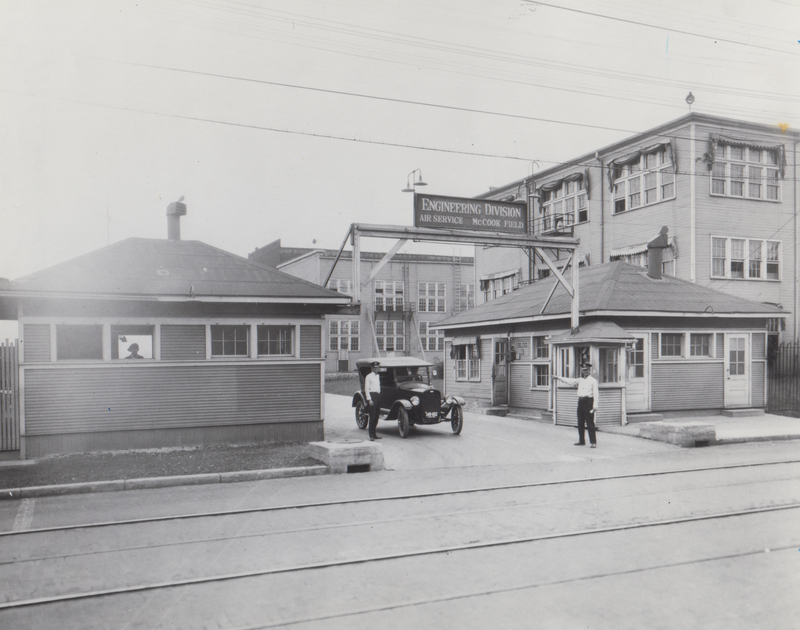 By 1919, it had been enlarged to 254 acres. Its motto, which was painted on the side of one of the Field’s 69 buildings, was: “This field is small. Use it all.” Indeed, the Field was so small, that it quickly became apparent that a larger field would be needed. 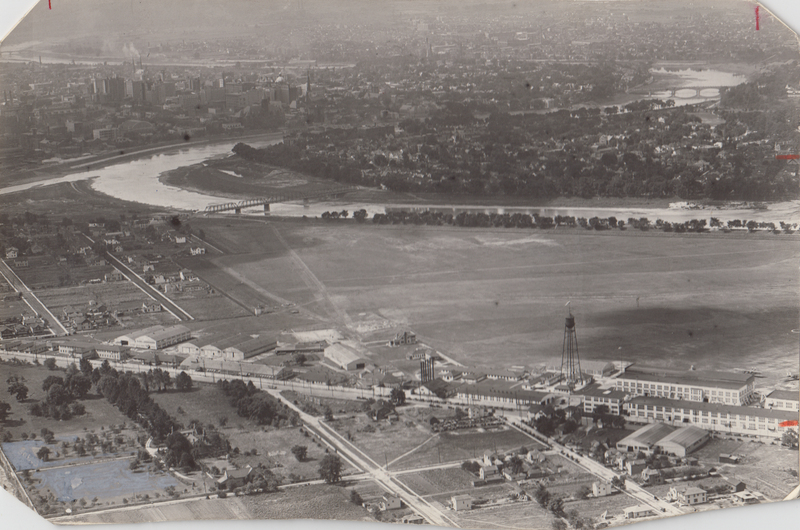 A group of prominent Dayton citizens raised over $400,000 for a new field, which was deeded to the federal government in 1924. 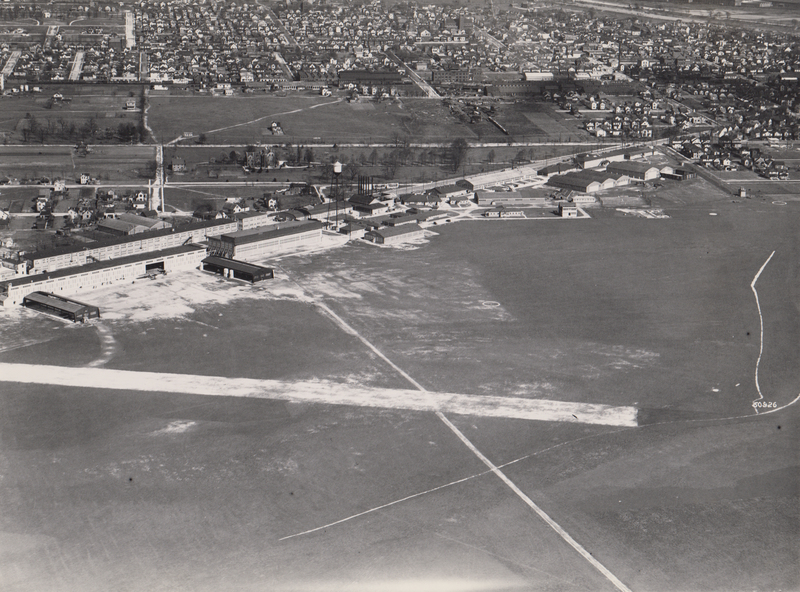 And in 1927, that new field was dedicated as Wright Field (now part of Wright-Patterson Air Force Base), and all of McCook Field’s activities were moved to the new Wright Field. 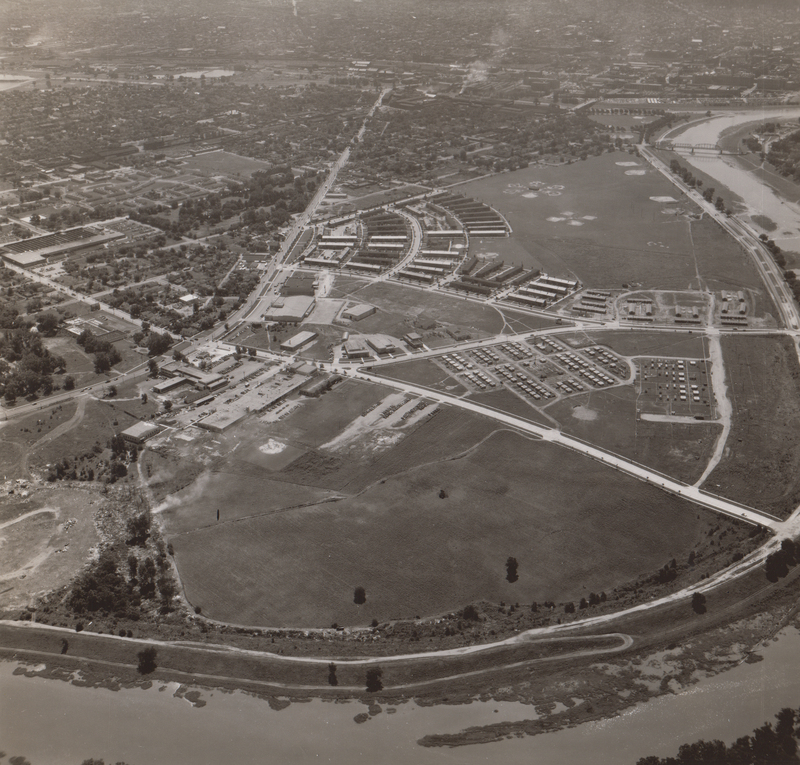 The following selection of photographs relating to McCook Field come from the Dayton Daily News Archive (Journal Herald alphanumeric series 21r). 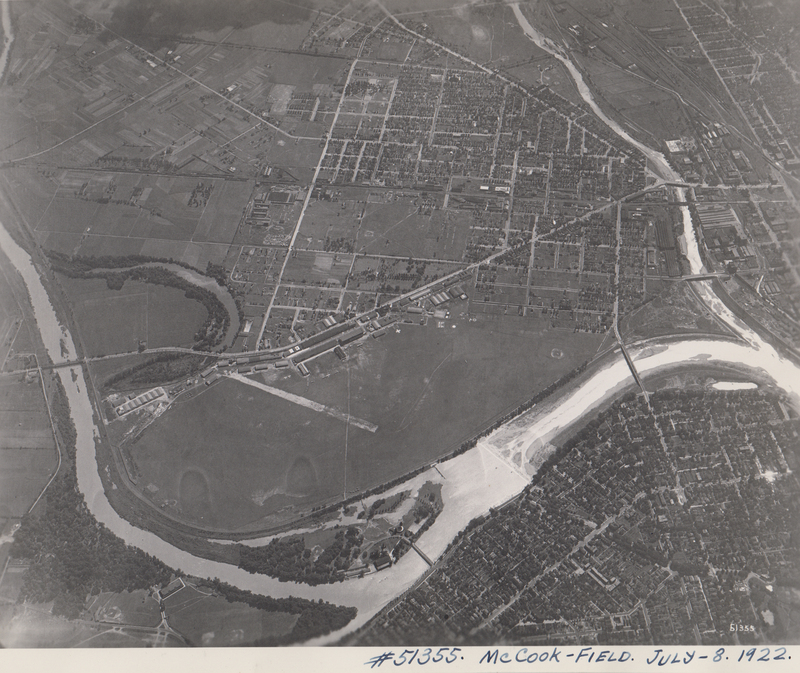 Of particular interest, in addition to the many aerial views over the years, are photographs of Alexander McCook’s farm in 1910 and an historical marker dedicated on North Bend Street in 1967. Click on a photo to enlarge it. Mary Ann Johnson, A Field Guide to Flight: On the Aviation Trail in Dayton, Ohio (Dayton, OH: Landfall Press, 1996), pp. 110-113. Call number TL522.O3 J64 1997. Mary Ann Johnson, McCook Field, 1917-1927: The Force Behind America’s Golden Age of Flight (Dayton, OH: Landfall Press, 2002). Call number TL522.O3 J65 2002. 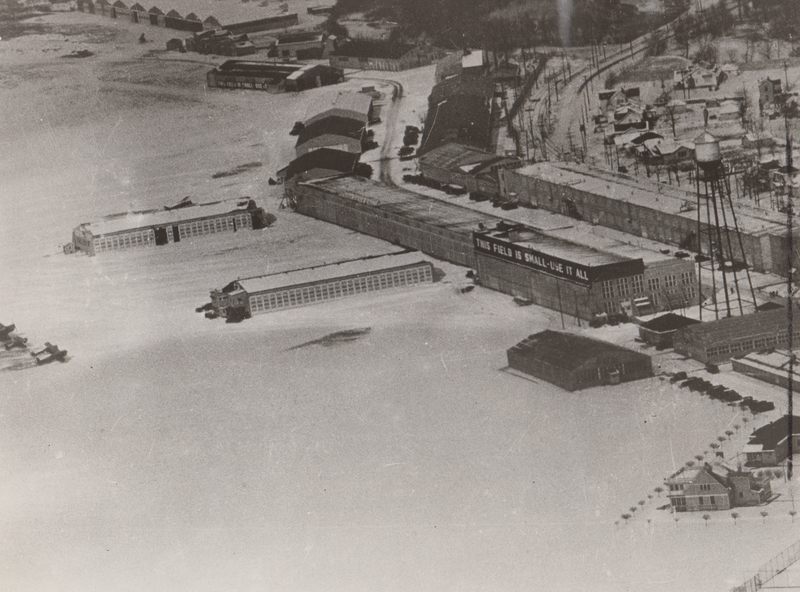 Kenneth M. Keisel, Dayton Aviation: The Wright Brothers to McCook Field (Charleston, SC: Arcadia, 2012), pp. 71-98. Call number TL522.O3 K447 2012. 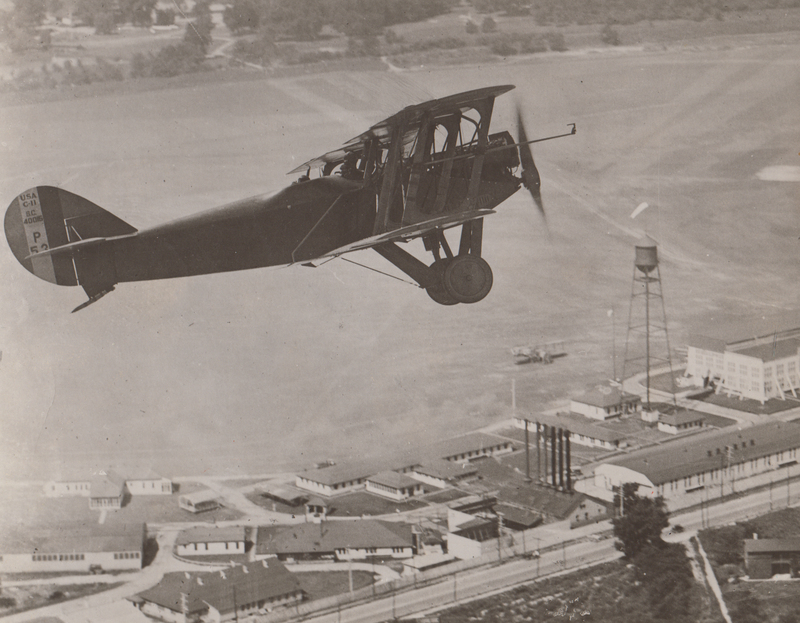 Harold R. Harris Papers (MS-214): Harris was a test pilot at McCook Field in the early 1920s. Fred F. Marshall Papers (MS-53): Marshall was editor of the McCook Field publication Slipstream, of which the collection includes several issues. 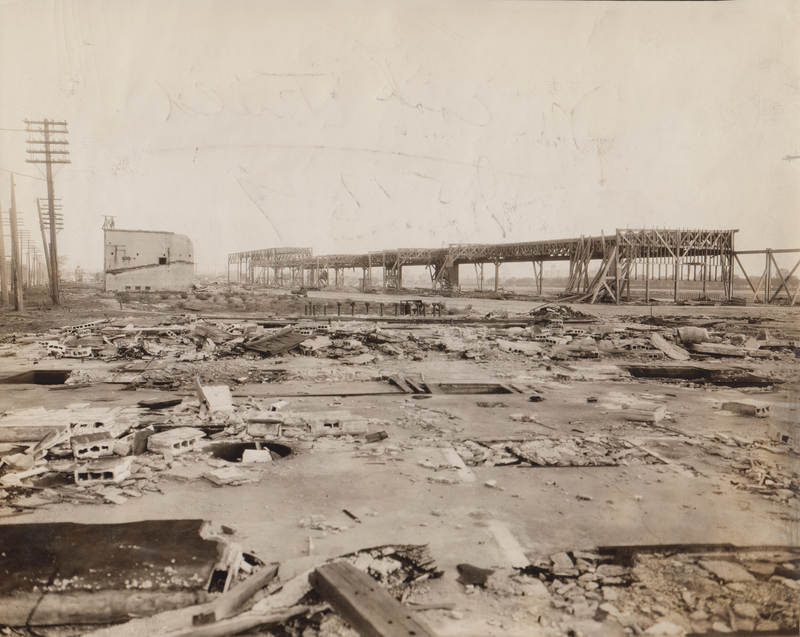 Herbert C. Osborne Papers (MS-264): Osborne was employed at McCook Field from 1920-1924; the collection includes several photos of McCook Field. 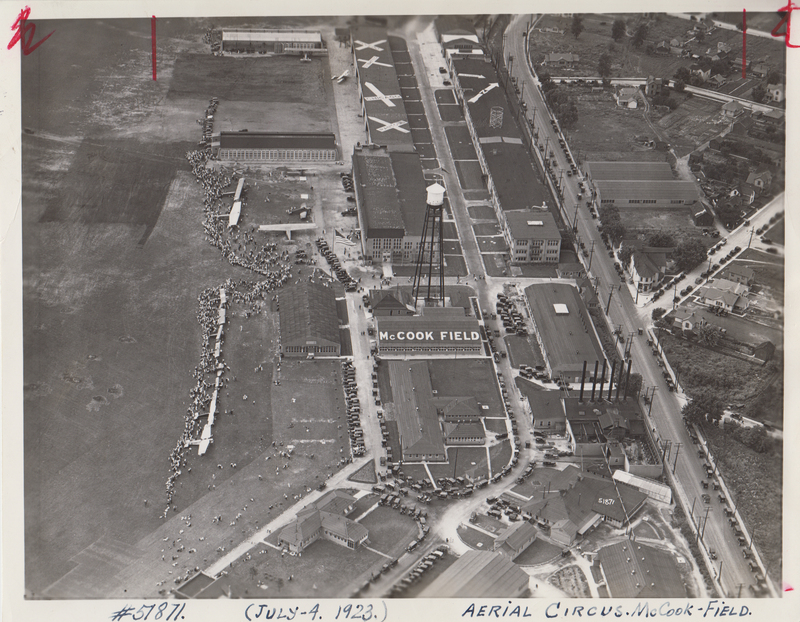 This entry was posted in DDN and Dayton and tagged aviation, Dayton Ohio, McCook Field, World War I, WWI. Bookmark the permalink.